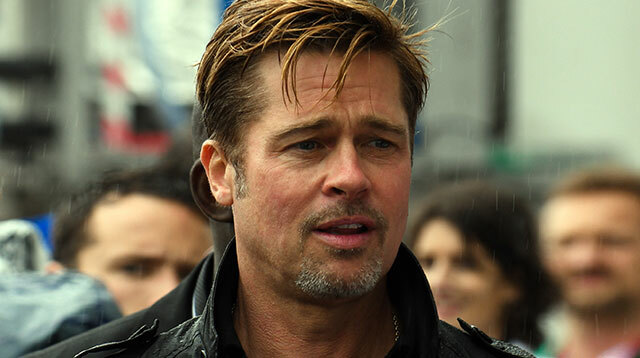 Brad Pitt has asked the media for respect and privacy following the shocking news that his marriage is over. The actor's wife Angelina Jolie filed for divorce, citing irreconcilable differences, and now the Fight Club star has released a statement further confirming the news. He writes: "I am very saddened by this, but what matters most now is the well-being of our kids. "I kindly ask the press to give them the space they deserve during this challenging time." Pitt wed Jolie in 2014. The couple met on the set of 2005 action Mr. & Mrs. Smith, when Brad was still married to Jennifer Aniston. The actor has not revealed any details about the split and he has not addressed reports suggesting his parenting style led to the marriage split. Meanwhile, Angelina's father, actor Jon Voight, has also spoken out about the breakdown of his daughter's marriage, telling Inside Edition, "Something very serious must have happened for Angie to make a decision like this." "I don't know what (the reason) is," he adds. "It's a sad thing. Say a little prayer. I am concerned for Angie and the children and hopefully I will be seeing them very soon." Angelina has yet to break her silence about the split, and it appears she won't be speaking out for some time. Her attorney, Robert Offer, told the BBC, "She will not be commenting, and asks that the family be given its privacy at this time." Meanwhile, the actress' manager, Geyer Kosinski, insists, like Pitt, the actress is focusing on their children. A statement to E! News reads: "Angelina is doing what's best in the interest of taking care of her children. She appreciates everyone's understanding of their need for privacy at this time."